The importance that people and brands place on follower counts or the impressions their content receives is grossly overvalued. I can't say numbers don't matter, but the value everyone places on these numbers needs to be reconsidered. There is just too much emphasis on the width of engagement -- how many potential connections they make -- rather than the depth of those interactions which, in my eyes, is far more important. The entire marketing world is blinded by the notion that more impressions always correlates to a successful piece of content (the sad part is, most of them don't care about the business outcomes). For example, you might hear somebody say "500,000 people saw my YouTube pre-roll ad!" But, the truth is that they likely didn't. What probably happened was that as soon as the ad started, the viewer clicked away to another tab or did something else until it was over. Or looked at their phone... So even though they didn't pay attention, the analytics still show that they saw it. Not only can an impression count be misleading, but it may not even reflect a positive consumer engagement. There are companies I will never buy from again because their pop-up ads annoyed me so much -- you know, the ones that have hundreds of extra "clickthroughs" because someone accidentally clicked on it eight times because the "close window" icon was too small. While those extra clicks look like engagement, they were only expressions of frustration with the brand. That context gets lost when we are playing in a world that treats impressions as a be-all, end-all. Let's say you have 20,000 followers on Instagram and 12,000 of them buy ten copies of your book because you posted about it. That type of conversion means you have an engaged audience consuming your content. That's valuable. On the other hand, let's say you have 200,000 purchased fans. When you post something and it gets zero engagement, those followers have zero value because (1) they either don't care about your content or (2) they're not real. Either way, your follower count does not represent their real value to you. Even the thought that a low number of followers can be considered "irrelevant" makes no sense to me. You can have 10, 10,000, or 1,000,000 followers and all it takes is for one post to be noticed by one person to cause a social media chain reaction. The absolute number does not matter. One retweet, one repost, one link in an email is enough to get the ball rolling. Instead of talking about how many people see your content, we need to be focusing on how much value that piece of content actually brings your audience. For a consumer to get excited about something, to be compelled to click an ad or watch a video, it comes down to caring about your audience's attention. And in order for you to win, they really need to consume it. That's the game. 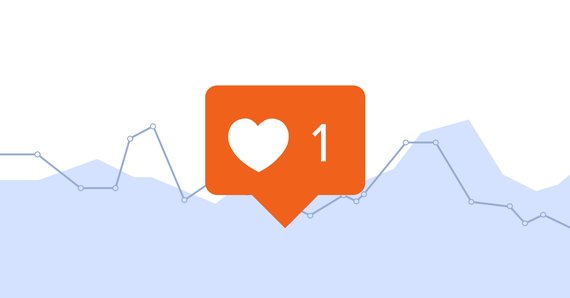 In terms of organic reach, the #1 platform in the world right now is Instagram (even with the new algorithm). 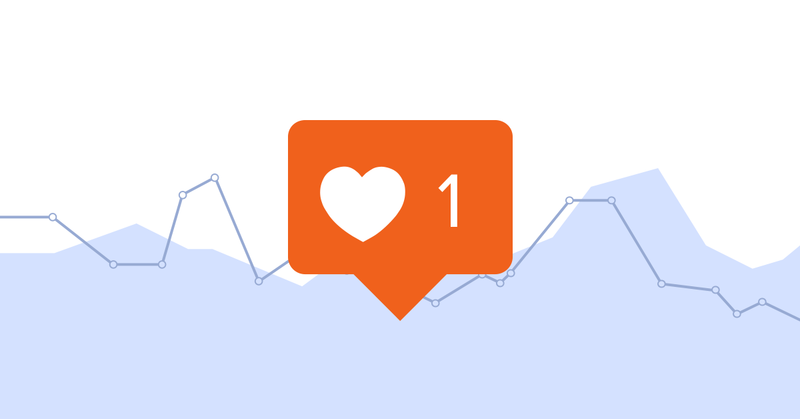 If you have 297 followers on Instagram, 150 of them are actually going to consume your posts. On the reverse side, someone with 3,000 followers on Twitter would not command nearly as much attention due to Twitter's noise problem. For any platform, you need to understand the context of how your followers are consuming. Once you do that, you can reverse engineer how you can go deep to connect with that consumer and how that "impression" translates into actual interest. For my newest book release, I sent free advance copies to over 1,000 Instagram influencers and asked them to post a substantial long-form review with a photo. Not on Amazon, not on Twitter, not on their blog, but Instagram. Why? Because I day trade attention and I understood that this tactic was going to command the most amount of awareness. Snapchat also has great organic reach right now. It's the reason why I've been so excited for custom Snapchat filters and Story takeovers. When someone is using a filter or watching a story, they have intent and you can be sure they're paying attention. Remember, it's about depth, not width. It's not how many you reach, it's how many you connect with. Bottom line: I don't care how many people see something, "I care about how many people see something." Quality over quantity. Depth over width. Reach does not equal value and follower count doesn't mean people are listening. We need to stop focusing on optimizing the number of views and instead concentrate on making each one of those viewers care about your brand. Because, at the end of the day, that's the only way you'll drive results to your end goal.